Shrewsbury continue to overachieve impressively and it looks as though their defence has been what’s keeping them competitive, having been turned around completely after last season’s managerial change. 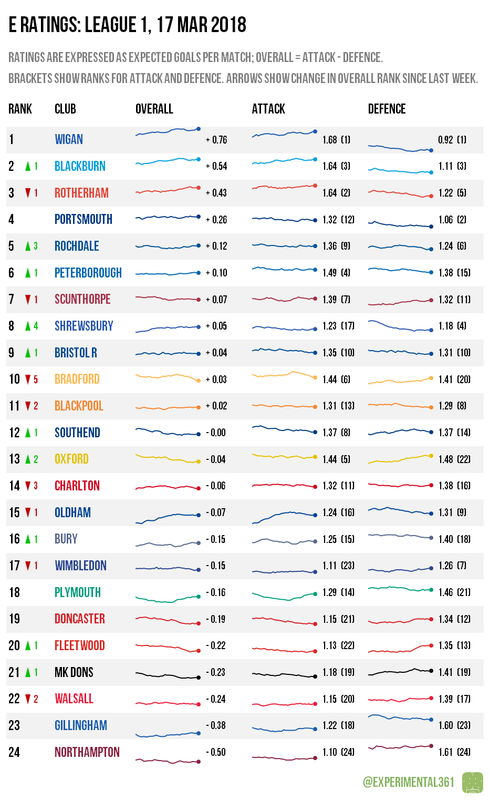 Charlton and Bradford meanwhile are continuing to deteriorate and the play-offs are looking increasingly unlikely. Northampton‘s poor showing this weekend is no surprise given their consistently low ratings, and Walsall‘s decision to sack their manager looks pretty justified in the data. Shrewsbury are the likeliest side to edge out one of Wigan or Blackburn for a top two place should they suffer a late blip, but Rotherham‘s inconsistent form means that they’re all but out of the automatic promotion race. 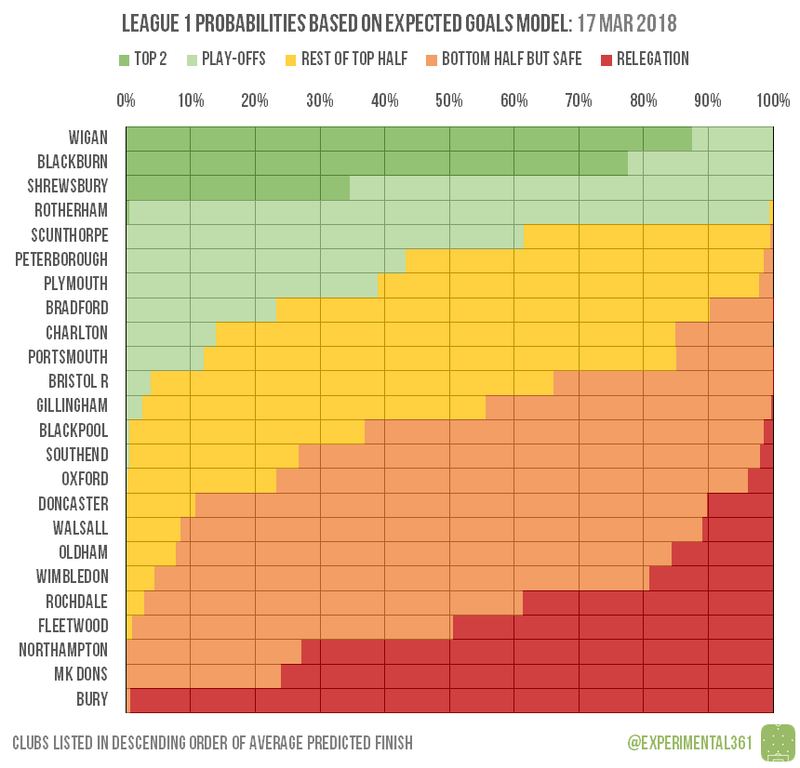 We’re set for an entertaining play-off battle, with nobody having a convincing grip on the lower two spots: Scunthorpe are the only club below the top four with a better than 50% chance, and that’s taken a hit after they lost at home to the Shrews. Bury‘s defeat at MK Dons was a huge blow to their survival chances and it inched their hosts towards safety, although they still need a favour from one of the clubs hovering near the drop zone.